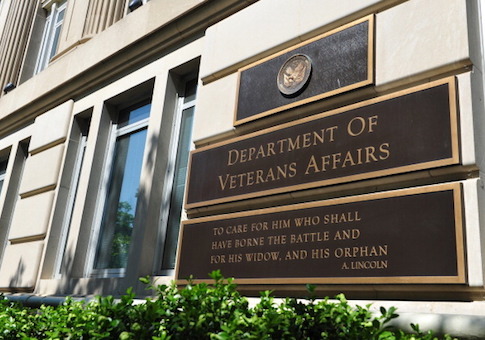 Taxpayers will no longer foot the bill for union officials at the Veterans Administration. The Trump administration issued a new policy that will put an end to the practice known as official time, which forces the federal government to continue paying employees for work conducted on the union's behalf, for medical staffers. The agency has been the subject of numerous scandals in recent years following revelations that it doctored records exposing delays in care that resulted in the deaths of dozens of veterans. President Trump campaigned on reforming the agency and has instituted measures aimed at streamlining service and imposing accountability on employees. In July, President Trump issued an executive order calling on the VA to review its official time practices. The new agency rules will apply to medical personnel, rather than the agency's clerical workers, including all union physicians, dentists, registered nurses, and chiropractors, among other agency employees. VA Acting Assistant Secretary for Human Resources and Administration Jacquelyn Hayes-Byrd said the measure is intended to focus employees on the agency's duty to care for former service members. Official time, she said, distracts doctors and other medical personnel from their mission. The new rules reflect "common sense." "Allowing health care workers to do taxpayer-funded union work instead of serving Veterans impacts patient care negatively," she said in a statement. "President Trump has made it clear—VA employees should always put Veterans first. And when we hire medical professionals to take care of Veterans, that's what they should do at all times. No excuses, no exceptions." The move sparked anger from the American Federation of Government Employees, which accused the White House of undermining the rights of workers. Union boss J. David Cox said the reforms represented a "grave disservice to our nation's veterans." Rather than detracting from the VA's core duty, official time enhanced care. He credited union officials for exposing the agency's failure to adequately care for veterans over the years. "Clinicians use official time to raise concerns about patient safety, access to care, and staffing shortages. Silencing their voices endangers our veterans," Cox said in a statement. "Removing access to this time is like asking the fire department to operate without firetrucks or a firehose—and the result will be just as disastrous for our veterans. Make no mistake, this is an attempt to silence the voices of VA employees at a time when such oversight is more critical than ever." The VA spent $49 million to cover union activities in 2016. The agency said those resources would be better spent on healthcare, pointing to an Office of Personnel Management report on official time. OPM found that the agency continued to pay one registered nurse despite the fact that she no longer provided any care to patients, instead focusing 100 percent of her time on union duties. The administration said such a role was "an example of the negative effect taxpayer-funded union time has on Veteran care." "Although she no longer provides patient care, she continues to receive a nurse's salary, which at VA averages more than $90,000 per year," the agency said in a Thursday evening release. The nurse's experience at the agency is not an aberration. Nearly 300,000 VA employees spent 1.1 million hours conducting union business on the taxpayers' dime, according to a 2015 report from the non-partisan Government Accountability Office. The Trump administration has sought to eliminate official time in other agencies, as well. The Department of Education spearheaded reforms to eliminate the practice through collective bargaining—the AFGE declined to participate in multiple negotiating sessions, but has filed legal challenges to the contract issued by Education Secretary Betsy DeVos. Labor watchdogs praised the administration for the reform. Patrick Semmens, spokesman for the National Right to Work Foundation, said the official time policies advanced by the Obama administration have been an albatross around the agency's neck. He encouraged other agencies to follow the department's lead and do away with the practice. "The practice of granting federal employees ‘official time' to do union business on the taxpayers' dime has wasted hundreds of millions of dollars and diverted services from their intended recipients, in this case veterans in need of health care," he said. "If union activities are worthwhile then members will voluntarily pay for them, and if not then it only further demonstrates how outrageous it is that thousands of federal employees are being paid for so-called union business instead of the job they were hired to do." The policy will apply to 430 VA staffers currently serving union roles and is scheduled to take effect on Nov. 15. This entry was posted in Issues and tagged Trump Administration, Veterans, Veterans Affairs. Bookmark the permalink.